Traveling Thailand can cost as little or as much as you want it to be. This is a country that covers all budgets! This is a country where you can stay in $3 USD rooms or $1,000 USD resorts. Street food for pennies or gourmet dinners for hundreds. Expensive tours or inexperience attractions. There’s something for every budget here in Thailand. Thailand is a cheap country to live in and travel around. I usually spend very little money here. But that changed when my friends came, and why that changed is important for anyone planning to come to Thailand. How much does it cost to travel around Thailand? Your Thailand costs will vary greatly depending on the kind of traveler you want to be. I’ve been visiting the country for over a decade and I’ve seen it change a lot. Here’s how much you can expect to spend and how to save money in the country. How Much Does it Cost to Visit Thailand? For Thailand, that’s a lot of money. But my friends had never been to the country before so we traveled a little faster than normal and stayed at nice placer than I normally would on a budget. I love traveling Thailand because it’s cheap and backpacking around Thailand usually costs $30–35 USD per day, depending on how much alcohol you consume and how many days you spend on the islands, where costs are higher. But when time’s limited and this is one of two big trips all year, you don’t want to scrape every penny. Vacations don’t need to cost a fortune, but if you aren’t traveling all the time, staying in the cheapest place to make your money last becomes less of an issue. You want nice things. You travel faster. You take planes, not 12-hour trains. You cram more activities into your day. You pamper yourself more. You eat nicer meals. And my friends definitely wanted all of the above. How Much Do You Need to Travel Thailand? You don’t need to spend a lot of money in Thailand. If you’re backpacking Thailand, plan to budget between 825–1150 BHT ($25–35 USD) per day. This range will get you your own room (fan only) with a shared bathroom (or a dorm room on the lower end), food from the street stalls, a couple of drinks per day, a few tours here and there, and local transportation. If you’re spending more time on the islands where things tend to be more expensive, budget towards the higher end or even upwards of $40 a day. On a budget of around 1,650 baht ($50 USD) per day, you would be able to fly between some destinations, eat more delicious seafood dinners and international meals, take more tours and activities you wanted, sleep in air-conditioned rooms, and drink more. If you’re looking to stay in Western hotels or expensive resorts, eat mostly Western food or in tourist areas, drink a lot, do a lot of tours, and fly a lot, you should budget 3,300–5,000 baht ($100–150 USD) per day. After that, the sky is the limit. While all the money-saving tips mentioned on my website can be applied to any style of trip (saving money is universal), how fast you travel on a vacation changes how you spend money. We could have saved a lot if we’d skipped the flights and taken the train, but my friends didn’t have the time to spend 12 hours on a train. We flew, which is expensive during peak season. Get off of the tourist trail – The easiest way to save money in Thailand is to live like a local. Take the local buses, eat street food instead of standard restaurant food, and drink beer instead of other (more expensive) alcohol. In Bangkok, average Thai citizens live on a less than 8,000 THB per month. In the countryside, the average person lives on even less. Try to follow their example. Visit less touristy cities and islands, and you’ll save big. 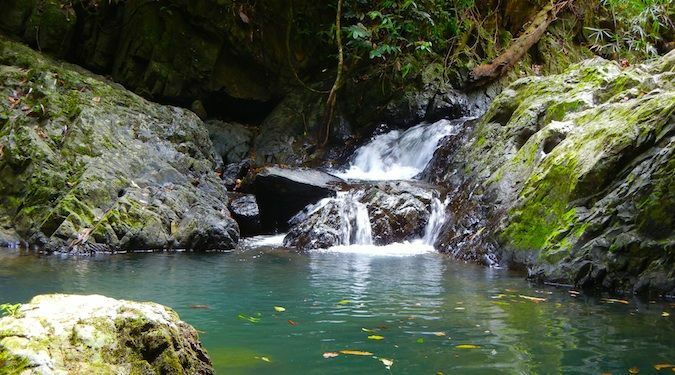 Book tours when you arrive – Want to take a cooking class, try zip-lining, or head out on a jungle trek? Maybe you want to try scuba diving near the islands. 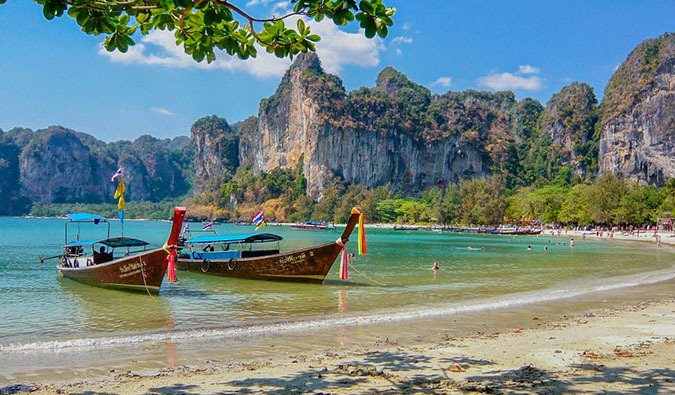 No matter what you’re looking to do, wait until you get into Thailand to book. Travel agencies are located everywhere so they are easy to find. These people are extremely friendly and easy to negotiate with, too. When it comes to tours, the general rule is that the more you buy, the better discount you can get. Grab a group of friends and sign up for tours together to increase your discounts. If the first travel agent won’t negotiate with you, move on to another one. Sure, you could just purchase these tours online before you arrive, but you’ll be paying a lot more. Wait until you arrive and you’ll save a lot of money. Eat at the street stalls – Everyone agrees that the food from street vendors in Thailand is the best food in the country. Plus, it’s ridiculously cheap. You can easily find a bowl of soup or noodles for less than 30 THB. Street stalls line every block, making them a simple and cheap option for any meal. Skip the Western food – Western food venues are always more expensive when compared to Thai food. Since some of the ingredients need to be imported, you should expect the prices to be higher than any Thai food you’ll find. Since most Western food places also pale in comparison to its original, it’s best to just skip it altogether and enjoy the delicious local food. Negotiate with tuk-tuk drivers – Unlike taxis, the tuk-tuks do not have meters. This means you need to agree on a price before you take off. If you don’t, they’ll be able to jack up the price on you. Drivers are always friendly but if you’re going to act like a clueless tourist they will definitely take advantage of you and charge you a few extra bucks. While I generally try to avoid tuk-tuks, they are fine for short distances (and you need to try them at least once!). Limit your drinking – You can save a lot of money by limiting how much alcohol you drink. Alcohol in Thailand can be quite expensive, so go for water if you’re on a budget. If you are going to drink, be sure to take advantage of happy hour deals when you can, and stick to beer instead of cocktails. o save even more money, buy your beer at 7-Eleven as it will be much cheaper than the bar. Use a hospitality exchange website – Sharing economy platforms like Couchsurfing and BeWelcome allow you to stay with locals for free while giving you a local perspective on the destination. There are plenty of hosts here, both locals and expats, so be sure to check out to not only save money but get an insider experience. Bargain hard – When you head to the markets you’re going to have to bargain hard. Never take the first price and don’t be afraid to walk away if you feel like you’re getting ripped off. If you can, ask a local what prices you should expect to give you a point of reference. Just remember to bargain hard but don’t be a jerk! In the rush to see everything, you can spend a lot of money before you even realize it. I’ll admit that the budget traveler I normally go out the door on this trip. I would normally never fly around Thailand, skip the expensive resorts, and not eat as much international food as I did with my friends. A three-week vacation in Thailand might not be as cheap as a three-month backpacking trip, but it can still be inexpensive as long as you watch where your money goes and don’t forget about keeping to a budget in your quest to see everything. Thailand doesn’t need to cost a fortune though and if you use these tips when you travel, no matter your travel style, you’ll save money! 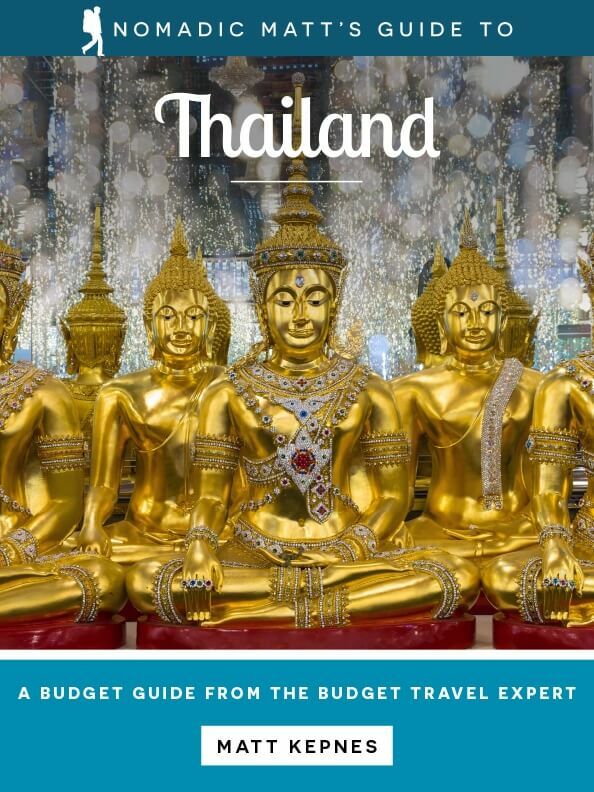 Get the In-Depth Budget Guide to Thailand! 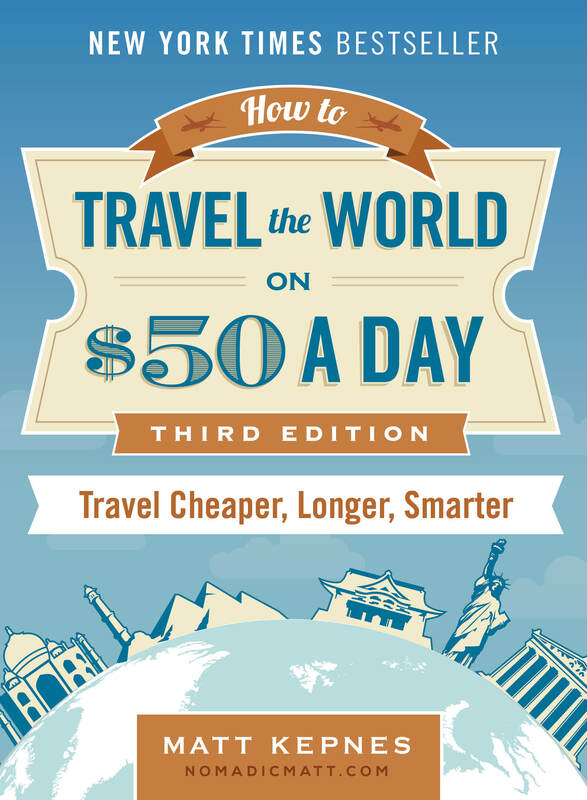 My detailed, 350+ page guidebook is made for budget travelers like you! It cuts out the fluff found in other guidebooks and gets straight to the practical information you need to travel and save money while in Thailand, a country I used to call home (so I know it really well!). You’ll find suggested itineraries, budgets, ways to save money, on and off the beaten path things to see and do, non-touristy restaurants, markets, and bars, and much more!! Click here to learn more and get started. Thanks! This is perfect as I’m planning a three week trip this April! Hey, could you possibly pass me an address of the guest house you stayed in? I am looking for an affordable place to live there but its quite hard to find one. kanchanaburi thailand??? Any hotels. Also any tips for a solo traveler? Whom to trust and etc? I will go in 6 weeks to Thailand and found some really cheap ho(s)tels. Check the website of Agoda.com. As i am going to the touristic places which cost higher, i would say 60 Euro per day, but that is really too high. But better to have something spare when something unexpected happens, so that wont scrape of your budget that you have in mind. For me that was 50 Euro per day inc. accomodation. If you go to Thailand, i would recommend eat often streetfood. It is fresher (daily from markets) then hotel or restaurant food. But you really can do it for half price 25 euro a day or less when you look well. Advise, dont nagociate with taxi(meter) drivers about the price. They are the cheapest and most comfy for short distances, only city-busses are cheaper, but way more slow. Tuktuk ride is nice for a time, but they are asking too high prices, but is a fun experience. When arrive in Bangkok and go to Kao San area, i would suggest to take the taxi instead of the Airlink Rail, saves a lot of hassle and carrying with bags. from train to center to take a buss to Kao San. Cost about 400-450 bath + 50B airport tax for taxi and 50B for the tollway. That would be about 17-18 dollar i think, not sure, i pay here in Euro. Have fun all in Thailand. The one thing we found on our récent trip to thailand was that the drinks( water, soft drinks and beer, coffee etx) cost almost as much as a regular meal at an average restaurant. We drank so much bottled water while there- at least 4-5 Bottles each. Just a little something to factor into your budget. Am leaving for permanent travel this summer and this logic is exactly how I’ve been thinking. Thank you for boosting my confidence. “…and seeing a doctor. If I cut out those expenses, my average drops…” Hopefully you’re alright and you don’t have to cut out seeing a doctor to save money! Good post though about how the decisions we make while traveling can greatly impact our bottom line. It’s all about what kind of experience we want to have and what we’re traveling for. My ear has healed but when I go home in April, I plan on going to get it fully checked out. We travelled for the month of February 2015 and were told to book hotels etx while there as you get better rates. We found this to be untrue especially in busy season. It was hard to find good availability while there an we spent many hours booking flights and hotels for our next leg of thailand adventure. I would reccomend booking some of your hotels ahead and flights( within thailand) as well. I paid a lot more for flights than if I had booked it months before going. Great information thanks! I’m highly considering teaching english over and Thailand and was pondering over how much it would cost in general. Thanks again! I noticed Thailand is cheap when $10 at a convenience store gets you more than you can possibly carry. Matt, I would be interested to here your thoughts on Cambodia prices, relative to Thailand. I’m not Matt, but I’ve traveled Thailand and Cambodia a few times (I L O V E Cambodia) and I would say that Cambodia is significantly cheaper. A three hour bus (local bus) runs at around $3 USD. You can get meals for well under $1. The beaches are nice – I stayed on a cute little island called “Rabbit island” for a few dollars – it’s a pretty quiet island, but awesome if you go with a big group of people and it has those glowing fishes at night. Dorms aren’t very common so often you wind up with a private room, which you can get for $5-10usd, if you’re being really cheap. I had a nice 4 star hotel in PP for a night (to sort myself out) which was around $50usd. I prefer traveling in Cambodia money wise not only because it’s cheap, but for me spending USD gives me a better bearing of what I’m actually spending. I love Cambodia. I’m here again for the 2nd time and I would agree with you – it is a lot cheaper. It’s sort of hard to spend money here. You really need to try. I write down all my expenses in a notebook. I have a nice little handy Moleskin I take everywhere. I think I am torn between budget travel and spending a little more for certain experiences. When I did my RTW trip – I opted for the more expensive where I thought best in exchange for time!! I had one year to travel or a particular dollar amount – I opted to do it all til I hit my magic number and then call it a day! I did 7 months and never regretted it. Admittedly, I was sad to have missed certain countries, but I did everything I wanted in the countries I visited. It was the 3 months travel in Canada than killed the budget! I know I can go back to the countries I missed. While in South America I met a trio of girls doing everything on the super cheap – they did not look as is they were enjoying themselves nearly as much as myself and the person I was traveling with. Guess it depends on your goals. Love your breakdown on costs – great way to really see where those travel dollars are going. I don’t think people should go super cheap. I get you might not have a lot of money but go for a shorter time and experience more instead of going longer and experiencing less. I’ve met the same types of travelers on the road too and in my opinion, they would get more out of their trip if they did more in a shorter time frame. Thai Airways has a special on flights between the two cities right now so I would book in advance. I never thought of three weeks as a short time before but you’re right about the 12 hour train rides. Thanks for the perspective. I absolutely loved travelling around Thailand. I had budgeted around $30-$40 per day but found by the end of my trip that I was getting by on closer to $20 per day. Like you say though, the islands are the most expensive area, while the north seemed to be the cheapest. Great post! The north is the cheapest part of the country. Thanks for the heads up! We’re headed to Bali soon (Work Holiday in AU is almost over ;P … ) and my sister is going to meet us there. It’s good to remember not to try to “cheap” her out of a fun time abroad! When I was in Thailand, we saved every little penny we could because we were doing the RTW. However, there are things that we regret we did not do for save money. I’m going through this exact thing in Thailand as I write this. Traveling alone I could budget my money and live on almost nothing. As soon as my friends arrived, It’s been resorts and expedited traveling. The tough part is finding a balance. Went to Thailand with one of my sons last year.. we had 7 weeks.. which i thought was quite a long time!! but no!!!! could have done with at least double that!!! lol. Both loved it there! Can not wait to go back! Was not too happy with the guest house in Chiang Mai..next time will get another one..
Thailand takes a lot longer to explore than a lot of people realize. I tried to do it in 2 weeks the first time I went there. We stayed at khamon Lana resort in Chiang mai a few weeks ago and this place is fabulous! We paid about 70$ per night including a great breakfast, shuttles 4 times a day to markets or shopping malls! The hotel was so incredible and clean with 15 foot ceilings. A huge 36 degree pool, amazing food and restaurant! Highly reccomend- a bit expensive but worth every penny!!! Hired a driver for the day to tour longneck, elephants , temples, silk factories etx- super cheap and great day! I can’t wait to visit Thailand, definitely next up on my list of destinations. I tend to go for cheaper accommodations to help save for the more enjoyable experiences and, of course, food! Good to see it broken down though, thanks! You get what you pay for with the food and accommodations. Thailand I rated good on my first visit, but then I went to Vietnam and Camboda, which was so much better than Thailand. Not good to travel around Thailand too cheap, Value for money not great. I never stay in top hotels but middle ones..backpackers too rough for money. Food is all the same over-rated. I am not in a hurry to return now, Vietnam offers so much more and they need the Dollars more. In South America try Uruguay..nice places in this small country. Agree! Just got back! You get what you pay for there! Spend a little money you get crap food and accomodations. Vietnam will do that you…. Just got back from a month in thailand- where are you visiting? I spent 3 months travelling around SE Asia about 5 years ago and absolutely loved it. I’m thinking of taking a break from work on some online stuff myself next year for about 3 months. I’ve already travelled, so my motivation is different to most backpackers and just want to find a decent/cheap place (preferrably on one of the islands) to hang out. What’s the internet coverage like? Is wifi common? Any suggestions for longer term stays in single locations? Internet coverage is everywhere in Thailand. You can’t take a step without finding free wifi. A lot of people set up shop in Chiang Mai but I am partial to Bangkok. planning my three month trip starting February 2013 as that’s about the time I think I’ll have the money to do so lol. but if you think my budget is more than okay for three moths let me know so I can leave sooner than later! been planning/slowly saving since I was 17 and wanna go for my 21st. If I were to leave now I’d be going with about $4000/$5500 Canadian. I’m just scared I’ll get there and not have enough money so planning for February so I have about double that if not more. I do want to rough it out the entire time I’m there though. I want the full experience of backpacking (can you tell this is my first time haha). maybe a nice hotel here or there a couple excursions (scuba diving, elephant rides so on and so forth) but nothing to crazy over the top. also as of right now I’m going alone. good or bad idea? should I be waiting until a friend can afford to come with me? you have a great article and any information you can give me would be wicked!! thanks! This has been the most helpful post I’ve come across! 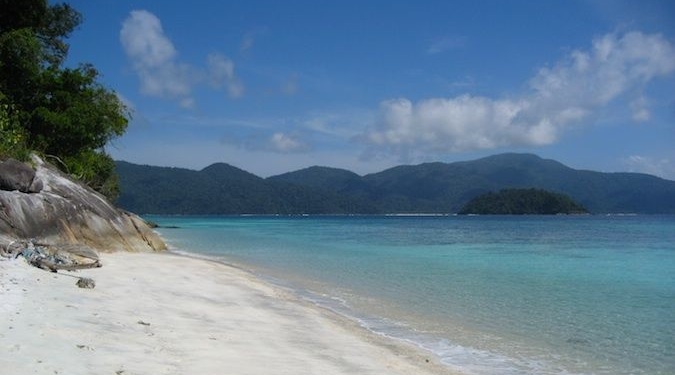 I’m planning a 15 day trip to Thailand in March 2013 and I was wondering if it will be cheaper for me to book my flights between cities now or rather wait until I land in Thailand (visiting Bangkok , Koh Samui, Koh Phangan, Koh Phi Phi and Phuket)? Would you recommend booking my hotel rooms now (Agoda has some great deals) or should I rather wait until I arrive in Thailand. Another question: I want to do the whole tourist thing in each city, do a bit of shopping&party a lot. Do you think a $20 budget per day would enough or should I rather budget on $40. This amount excludes flights and accomation. Again thanks for awesome posts! Great post Matt, very informative. I will keep an eye out for future updates from yourself. I do have a similar query to above though.. Would it make a big difference financially to book hotels in advance – Reasonable hotels to my taste in Bangkok seem to be 15-30 GBP in advance (dependent on location/quality), will this change dramatically on arrival? (Nov 2012) I would rather not over plan my trip if at all possible. On your trip, were you booking in advance (if so how far in advance)? Or were you simply ”winging it” – Again great post..
My wife and I are going to much the same places in late march. We live in Northern Territory Australia maybe we can have a drink together . Extremely helpful to see all your figures. I guess you always end up spending more on a holiday when you don’t know the shortcuts and places to go locally. Great post Matt. Yet I have been wondering. I am planning on going to thailand soon and Im looking to spend up to a max of $20 per day. One thing Im thinking that could drive the cost down would be couchsurfing or some other websites available. Might work but it depends. Would that be enough? My partner and I have booked a 3 week holiday in Thailand for August. We have the flights booked (including internal) but were wondering whether it was best to book hotels in advance or sort out when in Thailand? Book your first hotel in advance. You can take care of everything else when you get there. Planning our 2 week honeymoon we originally thought of going to Thailand however I have also heard great things about Cambodia. We would love to have some sight seeing with temples and spend some time on the beaches. We have a connection in Thailand for some missionary work but we will have to just wait and see how things play out there. I don’t plan on trying to “see everything” we want to chill out, enjoy the culture and the food! Maybe catch a local market somewhere. Any recommendations would be appreciated – thank you! Excellent information and love how you put everything out on the table. I’m thinking about planning a 2 week trip to Thailand in June (mainly island hopping), but see how some websites mention that the weather might not be that great. What would you suggest? Thanks for the insight! Learning a lot from your different posts. Girlfriend and I are going to SE Asia next month, 3 months – first backpack for both of us, so your writings are of great interest! Thanks. I’m planning my Thailand holiday for the end of the year with a group of friends, this has helped a lot ! Thanks soo much. Aloha Leaving hawaii to go to Thailand in december Is that a good idea? whats the best way to get there? Thanks for this. Makes me want to go to thailand more. Anyway, what do you think is the best place in thailand where there are alot of nice beaches but you can spend less? This post is great! I am planning to travel to Thailand and get to know a lot of places there, so I would do it by plane, but I have a question on you, could you recommend me a flight/train company? Where should I book the internal flights? Pucket – Dubai – London. Nice one Matt! 🙂 We’ll use this when we hit Chaing Mai in a few months. Have you been there? Also, does 1200$ include the flights? I am planning for Thai trip in mid or end July 2015 from Oman. I would like to booze and enjoy the beaches. not very much into cultural or sightseeing. Luv shopping & looking forward to taste all variety food, drinks, booze in Thailand. So please can you provide details for stay and budget per day. I am planning for a travel of 6-7 days. Wud prefer medium range accommodation. I’m planning to stay with friends in Chiang Mai, but want to take a quick jaunt to the beach before I leave. What beach would you recommend? Would a flight be the best way to get there? And what accommodations should I use? I’ve been looking at airbnb as an option. Would that be a good/safe choice? Just like everyone, Im traveling to Thailand this year but we’re going over Christmas for two weeks. The cheapest flight is listed at 1350. Is that reasonable or should we wait for it to go down? I can’t seem to find any sites that tell me what a reasonable price is. I know many people who got theirs for anywhere from 700-900 but they weren’t traveling over the holidays. Any help would be awesome! Thanks! I fly into Bangkok the end of September. I see that tourist season starts in Nov. Should I head north to Chiang Mai first to save more $$, or south to the islands and pray I won’t get caught in the rain? The trip is up until the end of December, but I did want to explore South East Asia a bit..
Hello! We are a couple with two children, one of 10 and another of 4 years and we are going to Thailand to spend 30 days. We would like to know if with THB 100000 just for food, drink and transportation we managed to get through this period. Transport would be taxis and boats to the beaches as we will stay in Krabi, Railay, Chiang Mai and Bangkok. Anyway, this value is only for fun since travel and lodging are paid for. Your tips are great. I am older and more affluent. 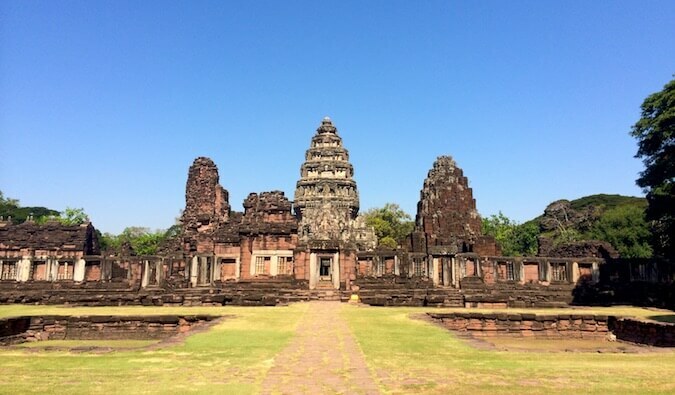 I just came back from 29 days in Thailand that included a short trip to Cambodia to see Angkor Wat. I stayed in higher end spots, with one hostel night and some smaller hotels. I also took flights to Siem Reap and inside Thailand. And I bought a few pieces of more expensive jewelry, some cheaper pieces and lots of silk scarves. My trip was not backpacker cheap and I like my beers out. This was single older female travel. I budgeted $5000. And came in under that including my airfare over. Certainly did not scrimp and enjoyed an elephant camp and several boat rides and a six day tour. Just a note from a traveler who does stay higher end and spends more to say this for me was an affordable trip. There are a lot of young ones staying in hostels and traveling on tight budgets who are having a grand time. I think Thailand is great travel for all budgets! Everything here is super helpful, thank you. My gf and I are planning a trip to Thailand next July. My first question is, what is typically a reasonable cost for flight there? We are travelling on a budget, however not wanting to stay in hostels. What is your suggestion when it comes to the first couple days, should we book hotel with flight? or find a place when we get there? We do not have a plan yet as to where we want to go, but we definitely want to see some islands and stay in each area. Any suggestions and advice would be most helpful. 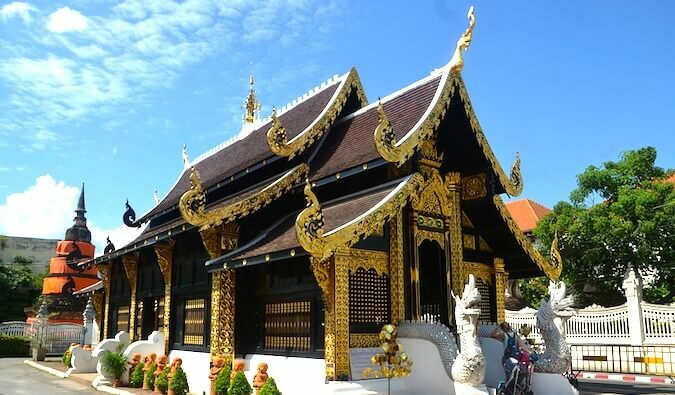 I would love to visit Thailand and do fun things with my 4 kids but the quotes i got from our travel agencies all range between 21,000 euro and 23,000 euro for 14 days for 6 people. Any ideas pls?